I bought a Samsung Galaxy Alpha SM-G850Y some months ago and still have mixed feelings about it. It's not a terrible phone, but it does seem to be a phone in search of a reason for existence. Its screen is clearly not as good as a Nexus 5 (1280x720), although the battery life is about the same. It wasn't particularly cheap, and I really didn't think it would ever be upgraded to Lollipop, since the SM-8G50Y model is a bit peculiar compared to other SKUs. For example, the SM-G850S has been receving the upgrade since mid-April 2015. 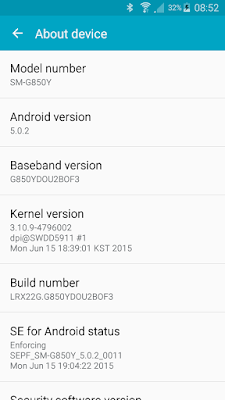 I understand the reason for this is that some SKUs have the Exynos 5 Octa 5430, but others have a Snapdragon 801. 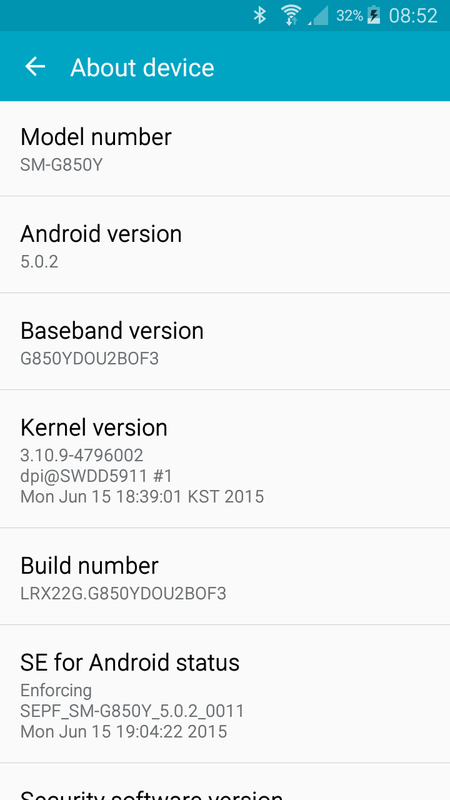 However, today (1 July 2015) I was notified of the availability of an update from 4.4.4 to 5.0.2 (although at the time of writing the generally available version of Lollipop for, say, my Nexus 5, is 5.1.1). The download was about 850 MB and the process took 35 minutes. There are only a few obvious changes, but I'm looking forward to having better notifications. Sadly it doesn't have "Screen pinning" which I use a fair bit in certain situations, but it does have Smart Lock (although "Trusted voice" isn't available for my language) which is also very useful.